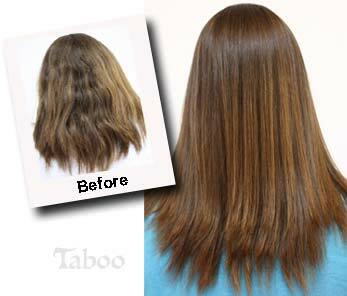 "Say Good-Bye to Curly Hair and Eliminate Frizz with Permanent Hair Straightening". If you’re naturally curly, but think that you look better with straight hair. But don’t want to contently spend the time and effort using a flat iron every day. 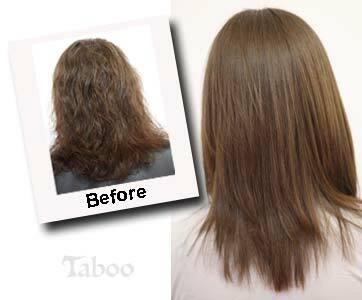 Then perhaps you might want to consider permanent chemical hair straightening, which can lasts up to 9 months. Chemical hair straightening (also known as thermal reconditioning or Japanese straightening) is a process where the basic structure of curly or wavy hair is changed into a straight form. Matrix Opti.smooth straightening treatment. Opti.smooth's unique formulation protects your hair every step of the way. Your hair will look beautiful, feels natural and silky. The chemical hair straightening process can take 3 to 6 hours but can take longer, depending on hair type, length, and thickness, so the price will vary from client to client (The prices start from $300+). You must first schedule an appointment for a complimentary consultation with our Specialist. During your consultation, the specialist will discuss the process of the service, the expected results for your hair type, length and thickness, the estimated time to complete the service. To see more photos of Tina's work, just visit hair straightening photos. 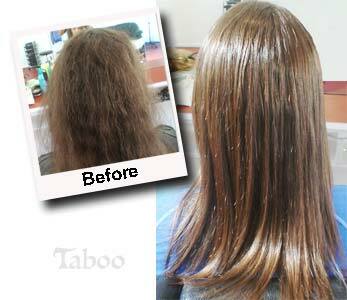 Recent photographs of a Chemical Hair Straightening treatment preformed at Taboo Hair Salon - Wellington. 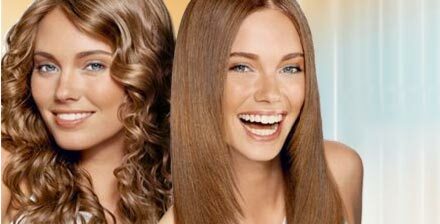 performing chemical hair straightening services for clients for the past 15 years. Tina is a NZ qualified hairdresser and a director at Taboo Hair Salon. She is also a member of the New Zealand Hairdressers Association. Taboo Hair Salon is located at 96 Karori Road, Karori, Wellington. Tina Fox, Call (04) 476 7077. Taboo® is a registered trademark of Taboo Hair Salon Ltd - Karori Wellington © Copyright 2009-19, All Rights Reserved.